Deadline extended until 11:59 p.m. PT on January 6, 2019! 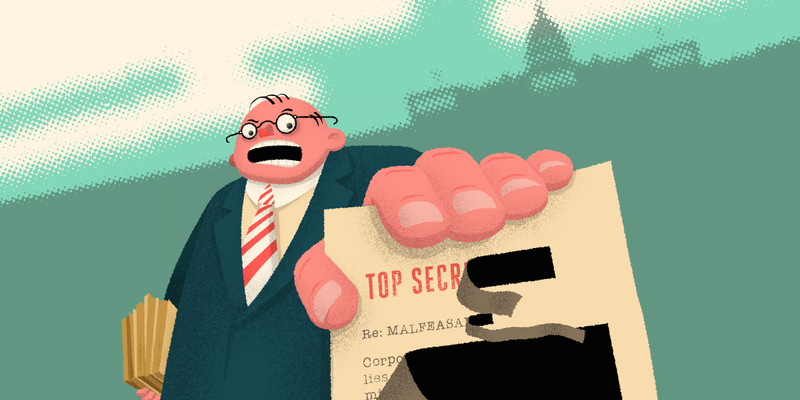 EFF is now accepting nominations for The Foilies 2019, our fifth annual “anti-awards” program for government agencies that, whether by maliciousness or incompetence, interfere with the right to access public information. It’s a tongue-in-cheek affair celebrating Sunshine Week (March 10-16, 2019), when a coalition of transparency organizations raise public awareness of the open government laws that make democracy possible. Journalists, transparency advocates, and citizen watchdogs should recommend government agencies by Dec. 31, 2018 for consideration. Like a Santa Claus of bureaucratic accountability, we also keep our own running list of cases of over-redactions and ridiculous copying fees, culled from the #FOIAFriday Twitter hashtag thread and the National Freedom of Information Coalition’s FOI ListServ. EFF partners with the Association of Alternative Newsmedia to syndicate The Foilies in local print newspapers around the country. Last year, The Foilies ran in Fort Worth Weekly, Colorado Springs Independent, Salt Lake City Weekly, Tucson Weekly, Monterey County Weekly, Santa Fe Reporter, Folio Weekly, DigBoston, Coachella Valley Independent, Orlando Weekly, and North Coast Journal. For more information on how to nominate an agency, please see our standard guidelines below. All nominations must have had some event happen during calendar year 2018. For example, you can nominate something related to a FOIA request filed in 1994 if you finally received a rejection in 2018. All nominations must be received by Dec. 31, 2018. Category: One-line suggested award title. We reserve the right to ignore or alter your suggestion. Links/References: Include any links to stories, records, photos, or other information that will help us better understand the issue.